Hello Stampers! 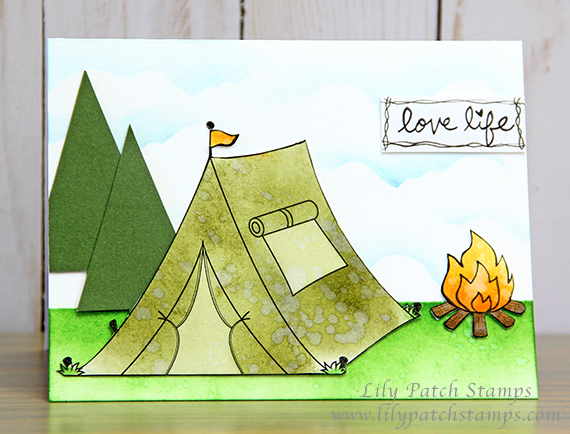 Today over at Tuesday Throwdown the challenge is all about "The Great Outdoors." 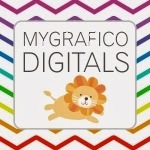 My Grafico is our sponsor and I am using these fun images from the Camping Out digital set. I started by re-sizing the images to fit my A2 card. I then used a sponge and distress inks to color the images and the background. The trees were done freehand. All of the images were popped up using thick cardstock on the back to create dimension. I love your tent! Thank you for playing at Inspired By. Love your sky and the tent! Great card! What a fun card. Makes me want to go camping. Thanks for playing along with us at PIP Challenges. What a great project! I love the splotchy tent!. Thanks for sharing it with us at Polkadoodles’ Digi Choosday Challenge, hope to see you again!